Description: Recorded with Phantom 4 Pro. My DJI Go 4 app would randomly freeze when recording so the video may not be "perfect" but I hope you will still enjoy it anyway. 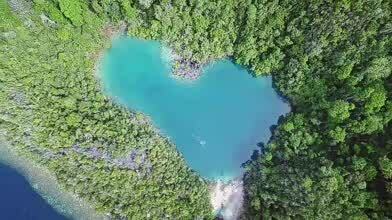 This is a secret lagoon found at the exotic Labengki Island, Sulawesi, Indonesia. It is really a secret because at this moment, not even all the locals know about this place, and to enter, you must first go through a partially submerged cave.